If you have read Theresa Hissong’s series Talon Pack you have met Drake Morgan. He is a grouchy bear shifter that sticks to his land, loves his brothers which are his Clan, and hates humans. I do love a broody, bearded man and that is exactly what Drake is. Yes his bear is after him to find a mate, however he does not agree that it has to be this little human. Humans are bad and nothing you can say will change his mind. Lol, the bigger and broodier they are the harder they fall. 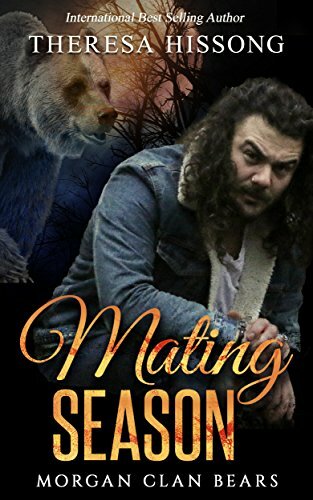 Drake’s bear knows what he wants and he wants the lovely Tessa. Tessa has been through some crap man, you would think that a man like Drake would scare her but instead there is something that calls her to him. Even though Tessa has had it rough doesn’t mean she is a push over though, she stand up for herself when she needs too. Drake are her really are meant to be,that Drake is a dominant in the bedroom and found Tessa to be submissive is HOT! I love how everyone sees how Tessa has a calming affect on the grouchy bear that he doesn’t. However, when Tessa is threatened he is no where near calm!!! She is also calmed by him. Soul Mates!!!! The way the bears are with their women is awesome and I can’t wait to see Drakes brothers find their mates.